We are pleased to announce that we have a vacancy for a Trainee Bird proofing Technician based in Gosport or Fareham. No experience is needed as full training will be provided. Location: Gosport, South Hampshire – this role involves extensive travel. We are a service providing company and the role will involve regular overtime to meet our client’s needs (the current average is 20 hours per month) and occasional out of hours work. Regular working away is required and Rokill pay for Hotel & breakfast. Previous Experience is not required as trainee’s will undergo our award winning training programme that includes a period of time shadowing experienced technicians and team leaders in the field as well as class room based training sessions. We will also consider applications from experienced technician’s that are already working within the industry. Our success as a company is based on recruiting and retaining the best people. We regularly recruit trainee technicians that are new to the pest control industry. This is because it gives us the opportunity to select the candidates that have the best potential to excel in the role. We look for people that have fantastic communications skills, are enthusiastic and are keen to learn. We also look for people with integrity and the drive to be the best that they can be. Our Trainee technicians undergo our award winning training programme, that includes a period of time shadowing experienced technicians and team leaders in the field as well as class room based training sessions. We ensure that all trainees are taken to a wide variety of sites that are experiencing challenging pest problems, to ensure that they have the opportunity to learn from our experienced team. Our team of Field Biologist’s and Regional Technical Support Officers also work closely with our trainees to help them develop their technical skills. After passing our 7 internal training modules, trainees sit the RSPH Level 2 exam in pest control. 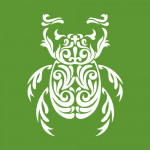 We operate a 6 grade career structure within the technician role, to ensure that our team members are continually striving to improve their pest control knowledge and take on additional responsibilities. We offer highly competitive packages including commission, and a generous bonus scheme. We also pay overtime (at time and a half) for onsite working or for travel in excess of 30 minutes. This means that our technicians can achieve on-target earnings significantly higher than the industry standard. 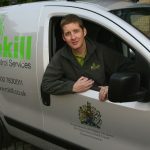 Although we generally recruit trainee technicians that are new to the pest control industry, we are also keen to talk to more experienced technicians. If you are an outstanding technician looking for an opportunity to progress your career, get in touch and have a confidential chat. Experienced technicians can join our team at the grade most appropriate to their skills and experience. We offer great opportunities for career development and make sure every team member is treated like an individual, and supported in all aspects of their role. If you would like to apply for an existing vacancy, or if you would like us to hold your details on file until a suitable vacancy comes up then please get in touch. However, if you want to maximise your chance of being successful, please also send a covering letter or email and explain a bit about why you are applying for the position, and why you think you would be the best person for the role! Rokill is an equal opportunities employer.